It is a cutting-edge shampoo designed to stimulate growth of new hair while protecting existing hair from fallout. Suitable for men and women, this revitalizing hair treatment nourishes the hair and scalp with amino acids, strengthening the hair shaft for enhanced growth. Antioxidants and anti-inflammatory ingredients protect against pollutants and chemicals that damage hair and prevent healthy growth. Revita is developed without the use of Sodium Lauryl Sulfate and Sodium Laureth Sulfate, which are the ingredients found in some soap products that have been known to course irritation. Below are lists of pros and cons I have summarized from the people who have been using Revita. Water, Cocamidopropyl Betaine, Coco Glucoside, Caffeine, Pyrus Malus Seed Extract (Apple), Aspalathus Linearis (Rooibos/Red Tea) Leaf Extract (Roobios), Apple Polyphenol (Procyanidin B-2), Ketoconazole, Hydorlyzed Wheat Protein, Carnitine HCl, Ornitine HCl, Acetyl Cysteine, Dimethyl Sulfone (MSM), Taurine, Emu Oil, Biotin (Vitamin H), Copper Peptides, Aloe (Aloe Barbadensis) Leaf Juice (Spray Dried), Glycereth 7, Glycerin, Oleanolic Acid, Polyquaternium 10, Glycol Stearate, Menthyl Lactate, (Menthol Derivative), EUK-134 (SOD Mimic/Spin Trap), PEG 150 Pentaerythrityl Tetrastearate, PEG 6 Caprylic/Capric Glycerides, Menthol, Zinc PCA, Citric Acid, Sodium Chloride, Methylchloroisothiazolinone, Methylisothiazolinone, Tetrasodium EDTA, Red 40, Blue 1 Lake (CI 42090). After applying Revita® with a gentle massage, you should leave it on the scalp from 1-2 minutes before rinsing. Then repeat and leave on the scalp for 3-5 minutes. If desired, follow with a high quality conditioner. For optimal results, Revita® should be used at least 5 times per week. Overall most of the users find Revita shampoo to be very effective at thickening and stimulating new hair growth. However, a few users said it made their hair feel thinner due to the excessive amount of hair washes. One user from amazon said it didn't state on the ingredients list on amazon that the shampoo contained wheat protein, which she is allergic to. I think that at $20.45 for a 290g bottle it is quite reasonably priced seeing as the majority of users find it really. I am a big fan of GHD, personally I think its the best flat iron money can buy and you definitely need money if you want one of these babies as they don't come cheap! The Purple GHD styling set is the latest advance from GHD, the world's leading hair straightener manufacturer. The combination of the purple color, paisley pattern design and high gloss finish gives this hair styler an extremely sophisticated look. This styling set is a limited edition and includes a flat iron, travel hairdryer, hair separating clips, a heat resistant roll bag and it all comes in a cute purple gift box. It is handy to know that the GHD flat iron has universal voltage, that means it won't loose power when your on holiday like most other straighteners do. Like other GHD's you can straighten or curl your hair as the flat iron has rounded edges to make it easier if you want to go curly and operates at high heat to hold the style. As always the GHD flat iron has excellent reviews with patrons very satisfied with their smooth and sleek hair. One fanatic said while the straightener is very good the roll bag is too big to use for travel and even as a heat mat. This is an expensive brand at $314.99 but is does work better than other flat irons according to reviews. You will be able to get it for under $100 if you have a look on ebay. 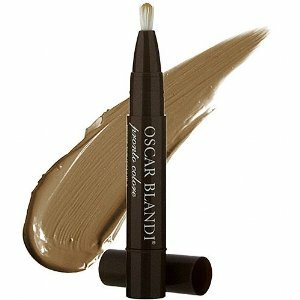 Oscar Blandi root touch up and highlighting pen is formulated to be the quick and easy solution to cover roots in between hair appointments. It is devised to be a solution for those days in between hair appointments. If your not happy with the color, it can be washed out in one wash. This highlighting pen is safe for use during pregnancy as it doesn't contain ammonia or peroxide and has gentle conditions, says Oscar. Personally I like the idea of using a pen shaped root touch up as it would be easier to use but does it actually work? Aqua, Cyclopentasiloxane, Ethylhexyl Palmitate, Quaternium 90 Bentonite, Propylene Carbonate, Isopropyl Palmitate, Propylene Glycol, Kaolin, Talc, Stearic Acid, Sesamum Indicum (Sesame) Seed Oil, Polysorbate 80, Triticum Vulgare (Wheat) Germ Oil, Vp/Eicosene Copolymer, Triethanolamine, Cetyl Alcohol, Disodium Edta, Diazolidinyl Urea, Methylparaben, Propylparaben, Magnesium Aluminum Silicate, Cellulose Gum. May Contain: Iron Oxides (Ci 77491,Ci 77492, Ci 77499), Titanium Dioxide (Ci 77891), Fd&C Yellow 5 Al Lake (19140:1), Chromium Oxide Green (Ci 7288). All in all an average product by Oscar Blandi with some patrons finding it very handy for a quick root touch up in between hair appointments. A few people using the pen say when you twist to get the color, you should blot the tip else you will get a big blob that will make a sticky mess. The majority of the users found it didn't cover their grey hair. However, one user did say it works wonders for her greys. It is a little overpriced at $23 for a 1.7oz pen but patrons say they get a few uses out of one pen, so it's worth it. Shiseido Tsubaki Shining Conditioner with Tsubaki Oil Ex is recommended for fine dry hair. Tsubaki oil is just Camellia oil from the Camellia flower. It should make hair look fuller with more sheen and moisture. This is the best selling hair care line from Shiseido, Japan. Camellia flower in the formula is known throughout Japan for is beauty and extravagant oils, which are absorbed into the hair and skin. The bottle does have a pump top, which I know is favorable with a lot of ladies. Makes it easier to use in the shower and there is less chance of using too much. Well this conditioner has 5 stars. Ladies using Shiseido Tsubaki say that it makes their hair bouncy, soft and luxuriously shiny. They also say that the fragrance of this shampoo is just heavenly. However, a couple of ladies found it made their hair greasy and left a little residue on the scalp. This product contains preservatives: water, sodium laureth sulfate, sodium taurine cocoyl, methyltaurate, sodium cocoamphoacetate, cocamidopropyl, betaine, glycol distearate, dipropylene glycol, cocamidemea, sorbitol, sodium chloride, hydroexyethyl, urea, polyquaternium-7, camellia japonica seed oil, polyquaternium-6 1, dimethicone, citric acid, ceratonia siliqua hydroxypropyltrimonium chloride, bis-isobutyl PEG-14/amodimethicone copolymer, disodium edta, sodium methyl lauroyl taurate, potassium cocoyl glutamate, glycerin, butylene glycol, PCA ethyl cocoyl, arginate, phenoxethanol, sodium benzoate, fragrance, yellow 5, CI 15985. 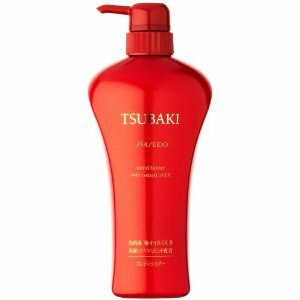 Shiseido Tsubaki has been highly recommended by most of the users who say it makes their hair soft and shiny. I would recommend this conditioner to people with very dry color treated hair as many ladies have found it works great. 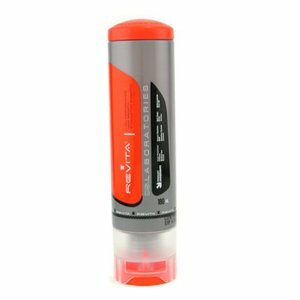 Although it might not be the best option for ladies who don't have a problem with dryness, as a couple of users found it made their hair greasy. Shining conditioner costs $19.50. Which is quite expensive but it does seem to work for dry hair. 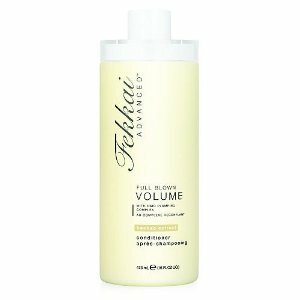 Fekkai Advanced Full Blown Volume Conditioner is designed to add volume and shine to fine hair without weighing it down. Fekkai says, with the extract of the Boabab leaf it infuses the hair from the roots out visibly amplifying it in diameter. Basically it coats each strand with a weightless polymer that increases the diameter of each strand for a voluminous hair network. I personally think this is a good hair care line. A little expensive but it usually works quite well. There is a matching shampoo that volumizes and adds shine too! Fekkai Conditioner has a good rating overall. Amy from epinions.com says it has a fresh, clean, light scent, volumizes hair, and doesn't weigh it down. The only negative thing she said about the conditioner was that it is expensive. Water (Aqua), Palmitamidopropyltrimonium Chloride, Trimethyl Pentanyl Hydroxyethyl Ether, PPG-3 Myristyl Ether, Polyquaternium-11, Behentrimonium Methosulfate, Ceteryl Alcohol, Hydroxymethycellulose, Hydroxycetyl Hydroxyethyl Dimonium Chloride, Quaternium-22, Propylene Glycol, Hydroxypropyltrimonium Honey, Glycerin, Panthenol, Cinnamidopropyltrimethyl Ammonium Chloride, Fragrance (parfum), Hydrolyzed Wheat Protein/ PVP Crosspolymer, Hydrolyzed Wheat Protein/ PG-Propyl Silantriol, Wheat Amino Acids, Hydrolyzed Oat Protein, Hydrolyzed Jojoba Protein, Prunus Amygdalus (Sweet Almond) Protein, Panthenyl Ethyl Ether, Citrus Medica Limonium (Lemon) Peel Extract, Saccharum Officinarum (Sugar Cane) Extract, Lippia Citriodora Flower Extract, Centaurea Cyanus (Cornflower) Flower Extract, Retinyl Palmitatate, Tocopheryl Acetate, Ascorbic Acid, Ethinyl Linoleate, Octyldodecanol, Lecithin, Arachidyl Propionate, Benzophenone-4, Diazolidinyl Urea, Methylparaben, Propylparaben, Methylchloroisothiazoline, Methylchloroisothiazolinone. Patrons of the conditioner say it made their hair look thicker. Although, they think the price is a little lavish at $23 for a 8oz bottle or $35 for a 16oz. Kerastase Nutritive Bain Oleo Relax by Kerastase is a shampoo designed to cleanse and detangle hair, leaving to soft and shiny. This shampoo is made for dry and rebellious hair. The thing I like about this product is that its never tested on animals. Reviews for this product are very good most ladies got the results they wanted. They said it made their hair less frizzy, made hair soft and shiny and they found the product went along way. Which is a good thing considering the price of this shampoo. Another user found that Kerastase worked O.K, but for the high price she expected it to give her hair more moisture than it did. Aqua/Water, Sodium Laureth Sulfate, Coco Betaine, Laureth-5 Carboxylic Acid, Cocamide MIPA, Trimethylsilyamodimethicone, Sodium Chloride, Polyquaternium 10, Sodium Salicylate, Benzophenone-4, Benzoic Acid, Methylparaben, Sodium Hydroxide, Butylparaben, Et. 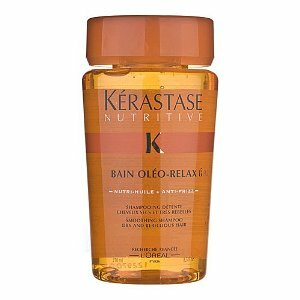 Kerastase by Kerastase: Nutritive Bain Oleo-Relax (34 oz) bottle costs a whopping $27. Which is just so expensive for a shampoo compared to a lot of other good shampoos out there that are a faction of the price. Helen of Troy 1-1/2" Hot Air Brush is designed to dry and style hair at the same time without tangling. The barrel is 1-1/2" so it should give you full curls and great volume. The barrel also locks in place for curling ans unlocks for unwinding. The motor is only 250 watt which Helen Of Troy says is powerful for quick drying. Personally I don't think that is very powerful, probably powerful enough for fine hair but not thick long hair. As you can see this hot air brush has got very mixed reviews. As I said earlier I think this hot air brush is suited better to ladies with fine short hair. 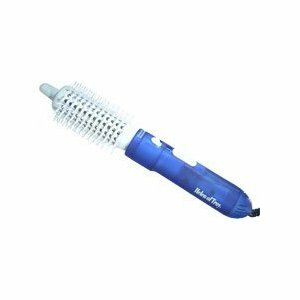 Helen Of Troy Hot Air Brush retails for $23.95. Which is quite a reasonable price compared to some brands. 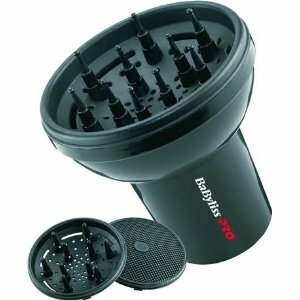 Babyliss Pro Ceramix Xtreme Dryer is a high powered 2000 watts. 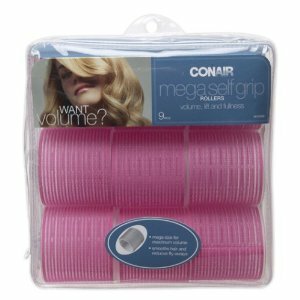 It is designed to create smooth non frizzy hair. It has 6 speed settings and a instant cool down option. Ladies from folicia.com have mostly only good things to say about this hair dryer. They like that it drys their hair quicker and stops it from getting as frizzy. Quite a few ladies seemed to agree that this dryer is a little too heavy, so it does ache the arm a little. Oh well just think of it as a warm up before a workout! It seems this is no miracle hair dryer but it does dry hair faster and prevent that dreaded frizz we all hate. However, Some of the ladies using it think it is a little heavy so can cause your arm to ache a little, or give you one muscly one! If you are interested in buying Babyliss Pro Ceramix xtreme Dryer 2000 watts it usually costs around $54.50. Which is a average price for a good quality dryer.